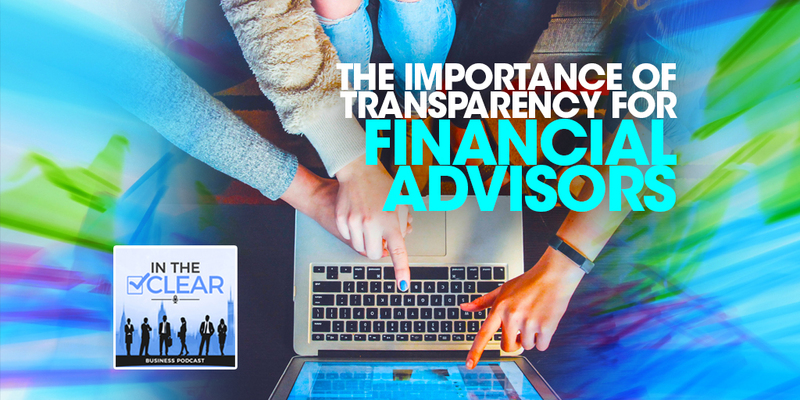 Realtor Mark Ferguson knows real estate and real estate investing and he knows the importance of transparency. He admits the industry is wrought with snake oil sales tactics and advises clients to educate themselves before trusting an agent. Listen in as he shares secrets from the trenches and tips for becoming a savvy consumer. Hello this is Tonya Dawn Recla with the In The Clear Podcast and I have with me today a real treat for you all. Mark Ferguson is realtor, real estate investor, author and he has created a whole web site and business called Invest For More. What’s delightful about him is that he gets it. He understands that the real estate market is fairly saturated and there are some questionable techniques happening with it. So, I’m excited to have him on the show today to talk to you all about some ways that if you’re in that industry you can kind of stand out. Also, if you’re looking to hire someone within that industry just some things to think about. So, please join me in welcoming Mark to the show, welcome Mark. Thank you, Tonya! I am really happy to be here and excited to get this interview going. Very cool. I think I have laid out the industry that you’re in but you handle both real estate buying and selling as well as investing. Is that true? Yes. So, I’ve been an agent since 2001. Right now, I run a team of ten with six licensed agents that buy and sell houses. I also have flipped over a hundred houses in my career. I own fourteen rental properties. So, that’s why I started the blog was to talk about all that. I do have both the agent and investor background. So, what has that done for you by bringing that into the equation; what happened to you at the point that you were buying and selling and investing and how did you move into all of those areas? My dad was an agent so I got started after college when I graduated with a Finance degree and did not find a decent job. Went to work with him part time even though I did not want to be in real estate. That turned into full time so I started out as an agent. Then my Dad would flip houses once in a while. Then, I learned the flipping side of things that way. So, learning to buy and sell happened at the same time and then I started owning rental properties later on in my career. What do you think that has done for both sides of the coin by being able to see both of those perspectives? I think when you get into the real estate industry many agents have no idea what it takes to have a good investment property. Whether it’s a flip or a rental because most agents have never bought an investment themselves. Therefore, by being involved in the investment side it gave me a pretty big advantage to help other investors buy and sell properties. I know what they will have to pay for a property, what repairs will cost, what a property will rent for. So, it gives you an advantage as an agent just from a knowledge base. Wow. Yeah, I can tell you honestly we had absolutely no idea when we got involved real estate, which I am sure you hear that story often. I can see how that would be so valuable for your clients to be able to offer that perspective. I think a lot of times people get caught up in the excitement of the homes buying experience. It can be challenging to think critically during that time. Definitely. Real estate can be one of the biggest wealth building tools out there if use correctly. Most people never really know how to use it. It one of the only places where you can get an awesome deals on houses and make money as soon as they buy it. It’s such a huge advantage financially. Most people just don’t take the time to learn how to do that or they rely on agents that don’t know how to do that. So, if they can take the time to learn how to get a great deal it can be amazing for your financial stability. It’s funny I remember going through that process and I wasn’t thinking along those lines. I was thinking more about all of the responsibility that goes into owning a home. I remember there was a book out there called The Virgin Home Owner. I mean I was reading about septic tanks and all of these things but that is where my mind was really immersed. It never hit me until years later about really learning the ins and outs about financing that house works. I have mentioned to you that I helped to systemize a few real estate companies. I was floored to learn how much fraudulent activity happens in that industry. Yes, it is unfortunate. You’re dealing with a very high dollar purchase. There is a lot of people who get dollar signs in their eyes and try and take advantage of people. So, it does happen a lot not just in buying and selling houses but in teaching the investment side of it as well. So, since you grew up in that arena, what do you think has changed? One of my personal bias is that with the rise of the internet and social media it really created a ripe environment for some of these snake oil salespeople to come forward. Have you seen that in that industry? Yes, real estate was probably one of the first snake oil salesman industry. I mean I was growing up in the 80’s but I remember the infomercials with the guys with the cars and the yachts and the girls selling real estate. That was kind of the same thing where you’re buying into that. I don’t know if people realize but some of these internet “gurus” which is what we call them. They are charging 30-60 thousand dollars a person for their courses. It’s crazy! They use high-pressure sales tactics similar to selling a time share. Which is also real estate! It’s sad to see people who are trying to make a better life get stuck even further behind because the spent so much money on this training. So, what can people do? What should they be thinking about, what should they be asking? How can they sort of save themselves from that heartache. I think one good thing about the online world and technology is that it is so easy to find information now. So, you can go online and research so many things for free. Whether it’s my site or another site. There are tons of free articles out there. Books! Books are a great way to gain information as well. I have written a few paperback books to reach as many people as I can at an affordable level. So they are not wasting all of their money on training. So, start with that. Learn as much as you can for free online and with books. This way you can get an idea of what you want to do, because there are a lot of ways you can invest in real estate. You can also learn about what to look out for in these “real estate investment training programs” they usually start out with a free lunch at a seminar and then in turns into a 3 day works shop. What happens is they don’t actually teach you anything it’s just all marketing. How can people know if what information is being shared is legit. Basically, how can people vet the people they are getting this type of information from? I think that one thing is being transparent. Are they talking about their investments? Are they investing right now? Are they open about their investments or are they holding secrets back that you have to pay for. I am a big fan of not having any secrets. I made my books to make the information easier to read so that you don’t have to go through 300 blog articles. All the information is out there for free if you want it. I am not hiding anything, I talk about all of my investments, how I find them, how I finance them. There is a lot of other people who are doing it too I am not the only one. I always just recommend look for signs of secrets and paying for more information. 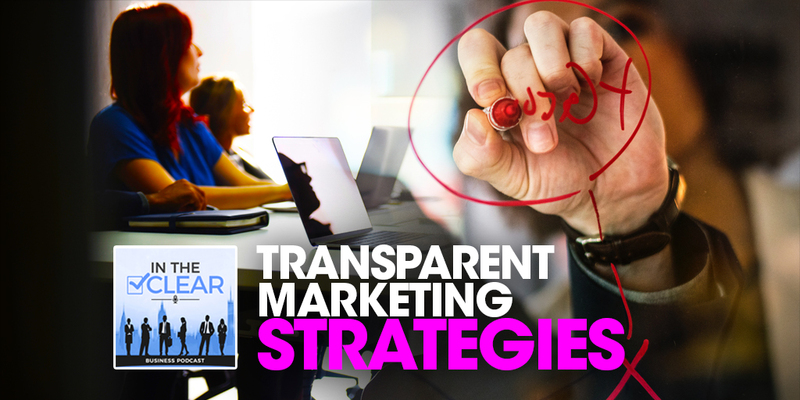 What do you do with your team to help foster a culture of transparency in a market space that seems to lean in the under direction? My dad was really a huge help in that. He has been an agent since 1978 and just retired. He is the most honest and transparent person I know. You are so much better off to tell the truth if you screw up that to try and hide it or try to fool people. Especially in the real estate business because so much of your income is either referrals or people that you have already sold houses to. If you treat them poorly, you’re just killing your income source. The better you treat them and the more transparent you are with them the more money you will make in the end. I saw him give away commission for mistakes he made or even for mistakes; he didn’t make to make a client happy when closing deals. He would not buy investment properties if he had another investor who wanted it because he felt it was a conflict of interest. The more honest you are the more people want to do business with you or refer you, which is really what makes you money as an agent. I agree with that. It’s funny because we have a seven year old right now and that is kind of like parenting 101. Teaching people to tell the truth and I don’t want to sound cliché about it. I think it can be challenging. We run into so many business owners that are very well meaning people tend to buy into the idea that if they screw up and are honest about it somehow they will be seen as less than knowledgeable or less professional. It invokes these feelings of some real vulnerability. I have discovered that it’s quite the opposite that your most powerful stance is owning up to things. We could say that it come straight from the espionage book because the concept of being open about things means you can’t be bribed or black mailed for anything. It is a powerful stance when you can be transparent and honest. It just feels like not everyone crosses over into that space, especially in business. A lot of times in the self-help arenas it’s the same concept to be honest with your partner and your kids and everyone else. I don’t know where it got messed up translating into business. So, I think that’s where you run into some of the posturing and the egotistical defensive responses to screw ups. I know I am going on a bit here but I am just reflecting on what you said and how simple and necessary your advice is and yet a lot of people miss that. Do you run into that with your team members and how do you help them manage that; or is that not a problem in the culture of your business? I mean it’s always a problem. I hire new agents all of the time. I have also had to let go of quite a few agents too just because they didn’t meet that culture. The tough thing about being an agent is when you first get start out you may not get paid for a few months. 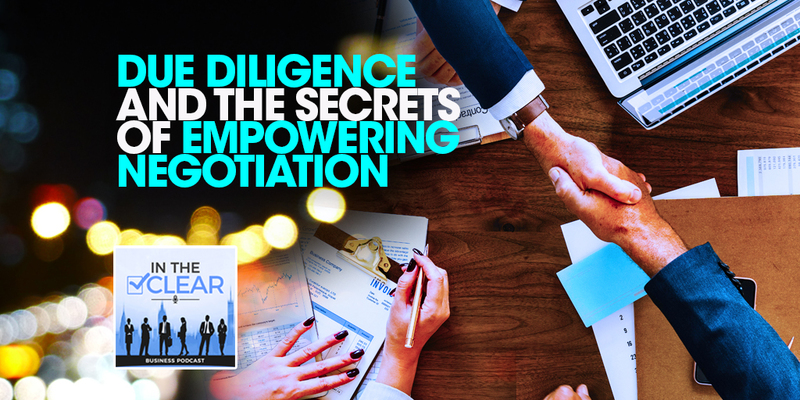 That can be stressful on you and your family so that might make you do something you might not normally do in order to get a deal closed. I saw some agents on my team not being fully transparent and not being honest and we had to let them go. You know I gave them warnings and I tried to help them and if it just keeps happening; not only does it hurt them it hurts my whole team. That is just not something that I can promote. Really what you said too is so true, people like when you own up to your mistakes. I see on Facebook all the time some of these real estate guys out there who fudge the numbers and they try and present it as something better than it is, and then they get hammered by these investors that know what’s going on. Then the ones who make mistake and own up to it, people see that and they are like “Oh my gosh it’s so nice to see someone say they made a mistake”. One of my most popular article or podcast I have done is about mistakes I have made and learned from them. It shows that your real and not trying to be someone who has never made a mistake and knows every answer. Yes, in addition to my counter intelligence background I am very much a teacher by nature. I remember even the freeing feeling when standing in front of a class or a workshop and saying “I don’t know? Let’s figure that out.” It’s really been highlighted through parenting. You know kids don’t let you get away with anything. I your posturing or trying to pull one on them they are going to call you out on it, you know it their sort of innocent, cut to the chase way. It has been such an experience to be able to show up in that transparent space with our daughter as well as clients and to translate a lot of that over to business. I can’t imagine operating any other way honestly. I do acknowledge the challenge comes when you’re leading groups of people and to maintain that as part of the culture. It’s one thing to emulate it and of course that always helps, there’s a trickle-down effect, you can’t have that culture if the person leading is not that way. However, like you said it butting up against people’s fears in particularly in business when it comes to money and survivability I feel like you’re spot on that, that’s where people tend to choose differently. Right, it’s kind of like trading short term gain for long term wealth. You may have to sacrifice sustainability for a short period time. I love that. It really investing in the overall reputation of who you are and the business that you operate. What advice can you offer to other business in your industry that can kind of help them stand out, I know we have talked about being honest, but what do you see moving forward for business in your industry. Do you have any tips you can offer? I think one thing I would offer is on the investing side of things, and this goes for anyone agent or not. If you’re really trying to buy quite a few good deals, doing what you say you are going to do is huge. If I write a contract to buy a house there is a 99% chance I am going to buy that house. I am not going to fiddle with the numbers or squeeze more money out of the deal. By doing that I have created, a reputation in my area and my area is not huge its about one hundred thousand people. The investors and agents will often know each other. I will have agents that come to me with investment properties asking me if I want these deals. Because they know I am going to do what I say I am not going to mess around and I won’t screw over their sellers. There are a lot of other investors out there that try and play games with the numbers, mess with inspections claws, or back out. You just don’t want to deal with them, I don’t want to deal with them, nobody does. If you focus on relationships and building a reputation it will make you so much more money than trying to nickel and dime people. That’s brilliant I really like that advice and people just don’t naturally think of that. Having integrity of word and deed and the benefits go way beyond the deals themselves. As you were talking it kind of creates this air about you, you know this sort of whole person concept of integrity which is beautiful. That is fantastic advice. Thank you for sharing it! It would be much easier to do business if everyone operated that way. Yeah, but then you wouldn’t be so unique and why would we talking. It would be commonplace. Haha! Thank you for joining us today. I know the listeners are going to want to find out more about you, where would you like us to send them? Yes, my blog is www.investfourmore.com is the best place to find me. I have a couple of free books on investing and on being an agent. There are also over four hundred free articles, You can also email me, I answer all of my emails personally, mark@investfourmore.com is the best place to email me. So, I am going to go out on a limb and say that the number four is because you have two beautiful children and a lovely wife. That’s actually completely wrong. Don’t feel bad most people have no idea what that means! I started that because it’s really difficult to get more than four loans on a rental properties because none of the big banks will do it. So, the whole idea is getting more than four mortgages and how to do that. I don’t know I like the whole family thing…but we’ll go with that. Before I let you go you do have a new project that you are working on, do you want to tell the listeners about this? Yes, I do I am working on a new big project on the basics of buying and selling houses. Hoping to be able to educate people on the overall process so they are not blindly going into it just hoping that the people that they hired are doing a good job. Awesome! Well, I look forward to that and I know our listeners will too, so keep us up to date on the release of that. It has been a real pleasure getting to know you a little bit better and I appreciate your perspective and you being so open and honest regarding the real estate industry with our listeners. Of course. Thank you for having me on the show and I look forward to keeping in touch. Very cool! And to everyone out there, thank you for listening and until next time make sure your business is In The Clear.